Jake Barnes is an American journalist living in Paris. He spends his days working and his nights drinking with his crowd, including Lady Brett Ashley, a stunning English woman who falls in love easily, but is engaged to a Scot, Mike Campbell. And men fall as easily for her. One of them is Robert Cohn, a writer who has a steady and jealous girlfriend, Frances. Jake has known Brett since the first World War, and they have had their moments, but Jake is one of the persons Brett can trust the most. Jake is planning to go to Spain to do some fishing and then do the bullfighting festival of Pamplona with his friend coming over from America, Bill, and Robert. But Brett and Mike also come along and the wine and festival bring out the worst in everyone. Paris in the roaring 20s must have been magical and Hemingway portrays the lost generation perfectly. The tension between the characters are present, but you also feel that you don’t know the whole picture. Some things are revealed as the story goes on, but a lot of things are left to the imagination. I had a hell of a time reading this novel. It might be because I was under the influence of some excellent Italian red wine while reading most of it. But how can you read a novel soaked in wine without actually drinking some? “It was like certain dinners I remember from the war. There was much wine, an ignored tension, and a feeling of things coming that you could not prevent happening. Under the wine I lost the disgusted feeling and was happy. It seemed they were all such nice people”. An old man hasn’t caught a fish in 84 days when he heads out alone. The man gets a giant merlin on the line, and he struggles with the fish for days while the fish drags him further from Havana. 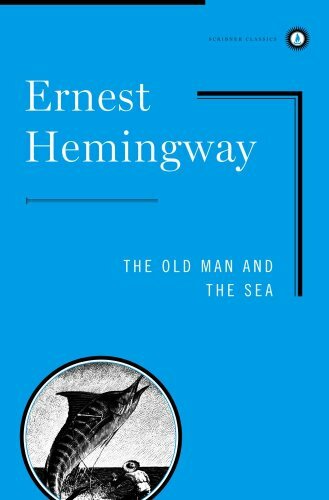 How is it possible to write such a great story about something as dull as an old fisherman? The struggle with the fish is really exciting and I kept wondering what would happen to the story if the fish swam off and the old man had to give up. And what would happen to the man if he was successful? It is a short story, merely a 100 pages long and because the struggle was so exciting it took a little over an hour to read. 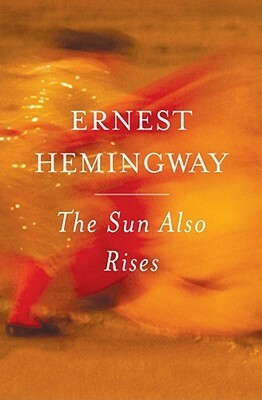 And I’m glad that I finally got around to read Hemingway. I will definitely read his other works – but right now there are so many other books that I feel I need to read right now.